Minimum protective gear requirements: Full leathers, riding boots, gloves, full-face helmet. This group is intended for the rider that has some track experience and has proven themselves to be safe and smooth enough to ride at a more excited pace. Passing is allowed on any part of the track in a safe and prudent manner. 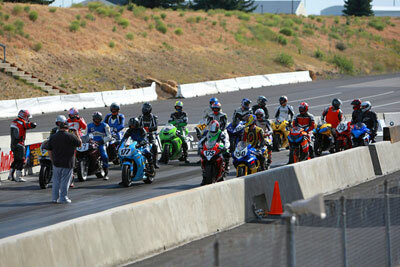 This group is intended for the rider that has never been on a track before; the group will have a limited top speed. Passing is only allowed when the bike is straight up and down, no passing in corners. Any passing must be done in a safe and prudent manner. Displayed at pit out (start/finish). Track is open and active. Displayed at pit out (start/finish). One more lap to the checkered flag. This is an advisory flag only. Displayed at pit out (start/finish). Your session is over. Continue at speed until about half way to pit in, then progressively start to slow down until you get to pit in. If you were to roll off too suddenly, you could get hit by someone behind you. Displayed at the problem corner and the one before. Be extra cautious! Something has happened up ahead. Back off a little, but don’t stop! Be prepared to change your line. You do not need to put a hand up on the yellow flag. No passing is allowed. Displayed at all stations. The session is over due to an unsafe situation. Slow down smoothly and bring your bike into the pits. The flag will be displayed and then pointed at you as you go by a corner worker and/or at start/finish. The flag will be shown at both the corners and the start/finish if something is wrong with your bike. Get off the racing line and bring your bike into the next corner worker. Your bike may be leaking oil, etc., so it is very important you stay away from the line where everybody will be. If the black flag is displayed only at the start/finish, it means it is a behavioral problem. Please finish the lap and pull in to talk with the track marshal. Headlights/tail lights and turn signals must be taped over, no visible light be seen. All mechanicals must be in good working order. Tires must have a minimum of 30% tread left and no visible defects. Must have CE approved armor, may not be Mesh (see through) material. Two piece suits must have minimum 3/4 circumference zipper. Water wetter instead of glycol coolant. Tape over speedometer, another strongly recommended. Bike prep per Rules/Policy on web site. check bolts and nuts especially ones with fluid behind. Safety wire is recommended not required for track days.  check clearance of controls against the bike and fairings, controls should go lock to lock without touching. KEY TO THE BIKE or Trailer, if yours needs one this is important! ez-up for shade, as the summer progresses, shade is very crucial.